April is National Poetry Month, and many poets are participating in the great BIG POETRY GIVEAWAY. I participated for the first time last year and was lucky enough to win FIVE books, all from amazing poets. Now, since I’ve been actively blogging, I want to pay it forward by giving away two books I absolutely love (see the listing of the other bloggers participating on the sidebar of Agodon’s blog here). About me: I’m the Spring 2012 Managing Editor of the award-winning literary journal, The Pinch, an MFA candidate in poetry at the University of Memphis, and in the last throes of a painful manuscript revision. The two books I’m giving away are ones I’ve gone back to time and time again while working on this manuscript. I hope they are as helpful and enchanting for someone else as they were me! 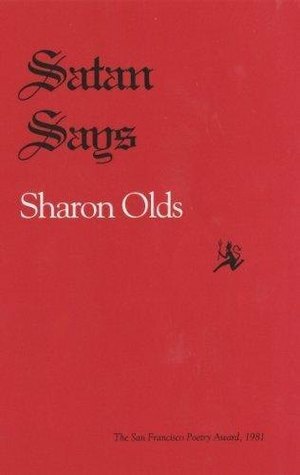 The first book I’ll be giving away is Satan Says by Sharon Olds. Satan Says happens to be the first book of poetry I bought at my first AWP convention two years ago. The language is visceral and muscular. It practically jumps off the page and knocks you in the jaw. It’s an amazing, life-changing book of poetry, and everyone should read it again and again and again. 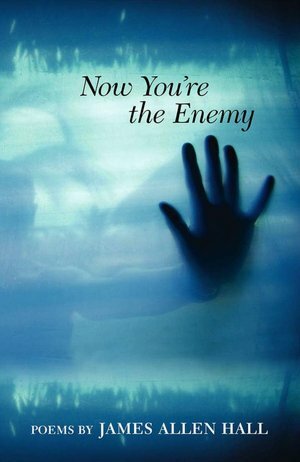 The second book I’ll be giving away is James Allen Hall’s Now You’re the Enemy. James Allen Hall is hands-down one of my favorite poets. His writing is sensual, raw, and poignant. On top of that, he is one of the most pleasant fellows I’ve ever met. Everyone should read his wonderful first book. Two winners – two collections of poems! This drawing is open from now through ALL OF APRIL! If you’d like to be entered, please leave your name and email address by midnight, APRIL 30th, 2012 in the comment section of this post and I’ll be randomly choosing two lucky winners on the week of May 1st, 2012. Sounds great. I would love a chance at those. Hi Tara, nice to meet you. Please enter me in the drawing, and feel free to come by my blog to enter my drawing as well. Happy poetry month! I’d love to be included! Thanks!! Tara: Please sign me in for a chance of winning one of your fine books through this year’s Big Poetry Giveaway. If I’m lucky enough to win Mr. Hall’s book, I will promise you I’ll read and review it for my popular, monthly online newsletter, which is read by many of this state’s serious poets. Hi! I’m returning your visit and entering my name into your draw. Count me in, too! Sounds great. My name is Sarah Sloat and my email is sjanesloat -at- yahoo -dot- com. Thanks! Thank you for the chance to receive these. Happy poetry month. Hey Claudine! Small world this interweb is.